IS YOUR CHILD HAVING A HARD TIME WITH BJJ OR MMA CLASS? EXTRA BOOST OF SKILL AND FIRE? ...THEN THIS CAMP IS FOR YOU! Professor Luke will be hosting a BJJ Intensive Training Camp! 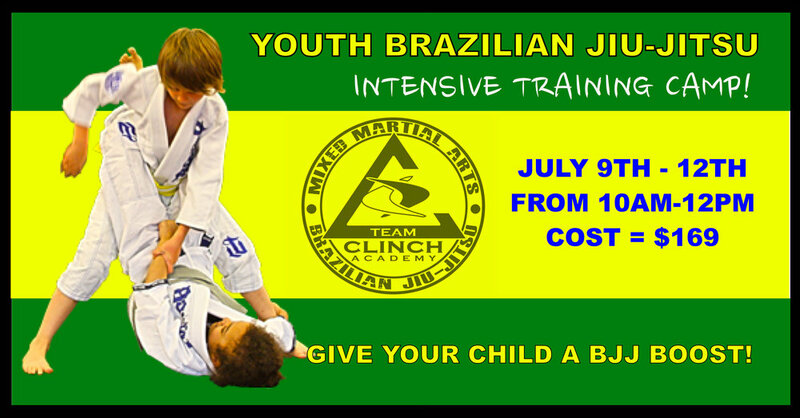 Luke's goal with this camp is to give your children the opportunity to get a strong boost of BJJ skill and Fire! This is NOT like our other camps! We won't be playing games. We won't be goofing off. Your kids will be working hard in order to get the best results out of this camp! Also to get the best results we are limiting this camp to 20 children. SO IF YOU THINK THIS CAMP IS FOR YOUR CHILD... REGISTER TODAY TO SECURE THEIR SPOT. OTHERWISE THEY WILL miss THE OPPORTUNITY TO JOIN THIS CAMP and get that extra boost! KIDS OF ALL LEVELS ARE WELCOME!